You are here: Home » Blog » Columbus Charter School Students Learn Ballet Dancing! 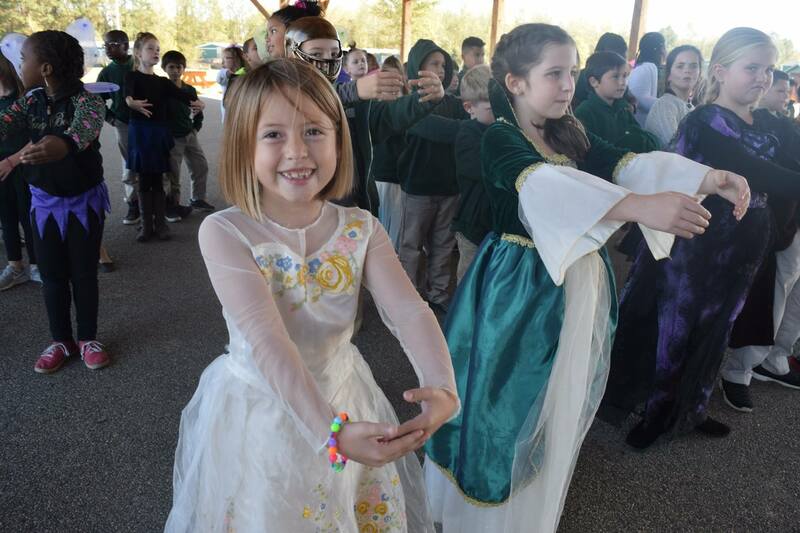 Columbus Charter School second grade students Natalee Kern, Hadley Dove, and Kenley Smeigh learn ballet dancing as part of their Shakespeare Day celebration. Columbus Charter School teaches students a classical curriculum including Shakespeare, Homer, and Latin. Shakespeare Day also consists of contra dancing, a puppet show of Romeo & Juliet, and a medieval sword technique demonstration.